CEOCFO: Mr. Clayton, would you tell us the idea behind Advanced Robotics for Manufacturing or ARM? Dr. Clayton: We are part of a bigger network called Manufacturing USA. There are fourteen Manufacturing USA institutes, all federally funded and dedicated to asserting global leadership in advanced manufacturing. Each of the fourteen institutes have a different focus area; ours is obviously robotics. The big picture is to create a brighter future for US manufacturers and workers. As you know, over the past several decades we have lost a lot of manufacturing jobs in this country and we have suffered accordingly; the middle class has suffered, our economy has suffered. There have been a lot of societal changes due to the loss of those good jobs. Other countries have figured out that manufacturing is great, because when you manufacture, it drives your economy. So, the global competition for manufacturing is fierce. Countries are going all-in on it and we need to compete. ARM�s focus is really an effort to create a brighter future for manufacturers and workers. Our focus is to combine robots and skilled workers to make better products at lower cost. I say that because the combination of robot technology and skilled workers will create the kind of products that drive market demand, and the more products that people buy that are manufactured in the states, the more jobs and the better jobs we can create. CEOCFO: What is the state of robotics today in the US? Dr. Clayton: The robotics industry is growing -- which is great, because when robotics is growing, manufacturing is growing. We are leveraging robots more than we have in the past. There are all kinds of records that are being broken but we are not moving as fast as many countries in the rest of the world. The state of robotics is great, but it could be better. CEOCFO: Why are we not moving as fast as other countries? Dr. Clayton: It goes back to that competition comment I made. Other countries have gone all-in in helping manufacturers implement robotics, so there are institutes like the Fraunhofer Institute for Factory Operation and Automation in Germany, Taiwan�s Industrial Technology Research Institute (ITRI), and others around the world that utilize government funds to help companies implement robotics. China has 2025 Plan to be the center of the universe in robotics. We need to do more, and ARM is one way to do so. CEOCFO: How specifically are you contributing to making it happen? Dr. Clayton: There are three things we do. Overall this is about reducing the barriers to implementing robotics technology with workers. The first barrier that we focus on is coming up with technology, so developing technology that helps robots become more cost-effective, more versatile, easier to deploy. The way we do that is by funding project teams all around the country, teams of our members. We pass the funding that we get from the federal government through to help universities and companies work together to advance technology closer to a production state so that it can move into use by manufacturers faster. The second thing we do is focus on the workforce issues and develop easier, better, and cheaper pathways for people to learn new skills required to support robotics automation, which ultimately will lead to good jobs. Automation--whether it is robotics or computer automation--is creating these great jobs, and right now there is a skill and labor shortage. We do not have enough people to fill those jobs. The way to get people to fill those jobs is to create easier ways for them to learn those skills, so we fund teams of organizations that are developing newer and better ways of learning. The third thing we do is develop an ecosystem around the country to help educate each other on best practices and provide opportunities for networking. This can be on the workforce side and the technology side. We have more than 170 members now. They are university members, small and large companies from around the country in manufacturing and technology, and non-profits - all part of the ecosystem that we are building. CEOCFO: What goes into the decision-making for funding? Dr. Clayton: First, we work with the members of the ecosystem to determine what their needs are. This includes what they need to grow and create more and better jobs and to get more business here in the U.S. for manufacturing. That information goes into our investment strategy, which outlines the top priorities that we have on the technology side and the workforce side. We then use those investment strategies to determine what we want to fund. Now, determining who we want to fund is a competitive process. We issue project calls on topics drawn from the investment strategies that are responded to by teams of members who submit proposals. We have other members, as well as our government advisors, evaluate the proposals to help us select the ones that we all believe will best help us achieve our goals. CEOCFO: What surprised you in the last few years with this administration that is so pro-industry and pro-manufacturing? Dr. Clayton: It is interesting. What has been consistent throughout my career in economic development is that, regardless of the side of the aisle you are on, everybody wants more and better jobs. It is less political than you think. There are different methods of course--people of the different parties have different methods and approaches that they want to take--but in the end we all have the same goals. We have all seen the manufacturing job loss and we are all about finding ways to create new jobs, to create better products that more people buy, and to grow our manufacturing sector. I do not think there is anything that is surprising to me because it has been consistent over the years. We are all trying to figure out ways to grow the manufacturing sector. CEOCFO: What is next on the agenda for you and what might be different a year from now? 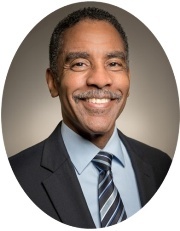 Dr. Clayton: I think what we need to do is get focused on creating programs that work. For example, the Fraunhofer Institute out of Germany was created to help companies implement technology with the idea was that if they implement technology, they create better products and lower the cost, they get more business, and therefore, they create more jobs. That was the idea. They focused on it and drew from technology developed here in the U.S., but they implemented it. They did the same in Asia as well, in areas like Taiwan. These public/private partnership programs were started over 45 years ago, and the Manufacturing USA Institute program I mentioned that we are a part of was started in 2012. We started with funding that lasted for five years and then it was �we will see�. So, the U.S. commitment to these types of programs is newer and not funded at the same level as the countries who now have very a strong manufacturing sector. What is next is that our country should have that long-term focus on building our manufacturing sector beyond what it was before -- not just getting us back to the leadership we showed in years past but getting beyond the fierce world-wide competition where we are not the leader in some areas. We need to compete, get out there and get serious and focused on what we are doing, and provide long-term funding so that we can revitalize our global leadership once again. CEOCFO: How are you going to do that? Dr. Clayton: We do this this by continuing the efforts that we are doing right now. The Manufacturing USA program was started in 2012, but not all the fourteen institutes started in 2012. 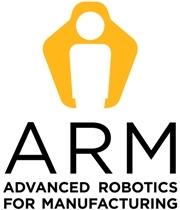 The first institute started in 2012 and the last, which was ARM, was created in 2017. ARM is just two years old right now. We achieve this overall mission by continuing to fund these institutes to do the type of work that, quite frankly, takes some focus and commitment in doing the things that are hard to do and that is technology development, workforce development, the ecosystem development, and then making sure that we continue those efforts. We need to be focused, committed, and funded to achieve or surpass the success of other countries in this area. CEOCFO: What might people miss when they look at Advanced Robotics for Manufacturing? Dr. Clayton: I think the thing that may not be obvious is the link between technology and jobs. You get a lot of press that is one-sided. You hear a lot of stories about robots taking our jobs, we are all going to be out on the street. We also get press where people say robots are great and they are going to help us get back to manufacturing leadership; robotic advancements are going to help us get more business. You seldom hear people tell both sides of the story. That�s what people miss; they see one side or the other. What they miss is that both are linked. Robots are there to create products at a better cost, or do the jobs that are dirty, dangerous or dull that people don�t want or get injured doing. This approach drives business and that is great. The other side is yes, it does displace workers; it is part of the creative destruction. You cannot create new things without destroying old things. Do robots displace workers and destroy jobs? Absolutely! That is part of the full story and you need to understand that. But new jobs have always been created as a result of automation. So, we need to connect the displaced workers with opportunities to learn the skills needed to thrive in our automation-focused economy. That way everybody wins. I am sure you heard about the lay-offs at GM, for instance, at the same time we have a major part of the manufacturing sector saying there is a manufacturing shortage and we cannot find skilled workers. You have people saying they have more good workers than jobs and on the other end you have companies saying they have more good jobs than workers. Well -- connect them. We need to find more and better ways to connect the people that are being displaced to these new and better jobs. It is understanding both sides of that story and not buying into companies or people that are just providing one side of that story. The fact is they are both connected. Technology creates many more jobs and the idea is how to connect people that are being displaced to more and better jobs so that being displaced could be a good thing in the long-run, if we invest in continual worker skills development. I just looked at this study which was done by the World Economic Forum. It was not just robotics, it was machines and different types of technology. This is an example of looking at both sides. In the study they said that worldwide there are going to be 75 million jobs that are going to go away because of technology, but on the other hand they looked at the other side and said that this technology is going to create 133 million new jobs, some of which do not even exist yet for different types of things. There is a 58 million net job gain. They are telling both sides of the story. We need to do that more so that people do not miss that because it is important that anybody that has been displaced, laid off or at-risk, that they understand that there are opportunities out there. What we are taking on here at ARM is not just how to create the new jobs but also how to create the training mechanisms to get those displaced workers into the new jobs.